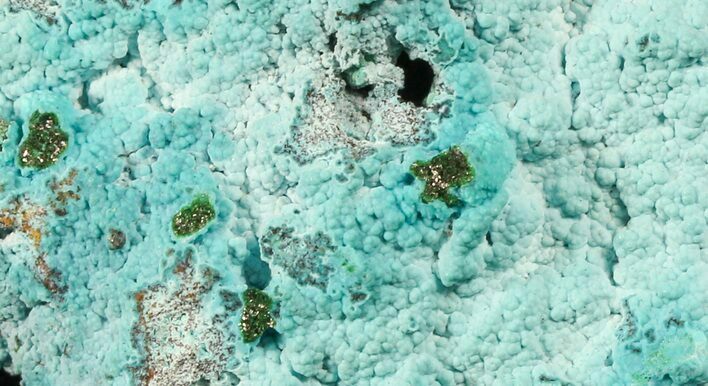 This beautiful specimen malachite coated in a pseudomorph of powder blue chrysocolla. 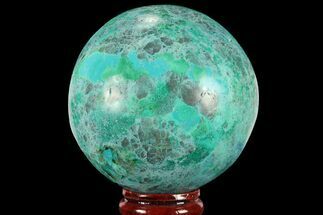 There are a few small areas where pockets of drusy, green Malachite can be seen underneath the Chrysocolla. 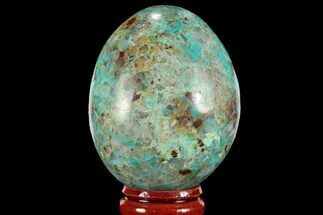 Chrysocolla is a basic copper silicate that typically forms as a pseudomorph following other copper based minerals. 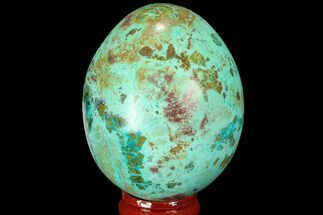 The chemical formula is considered undetermined due to the varying substitutions of elements and water content in its chemical structure. 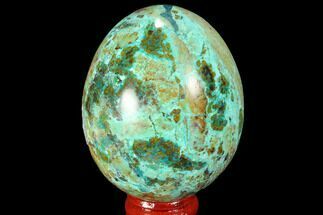 However, there is a form of chrysocolla with an identifiable chemical formula of Cu2H2Si2O5(OH)4, that can be found in microcrystals. 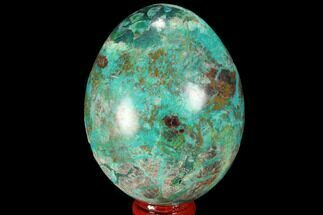 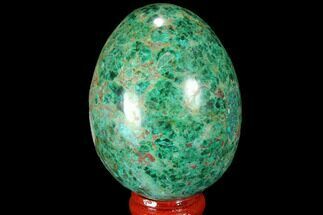 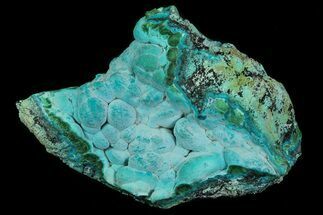 Regularly, chrysocolla will form as botryoidal lumps and spheres, rarely forming visible crystals. 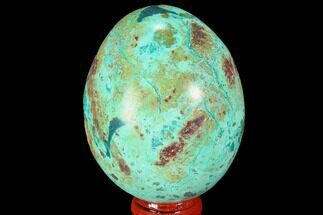 It's also been known to form in both solid and fibrous veins, over fibrous minerals and in crusts. 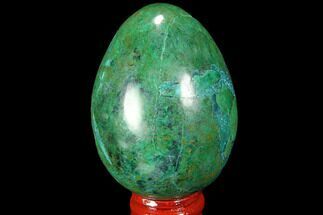 Known for its sharp and vibrant coloring, chrysocolla can display a wide variety of colors such as blueish-green, bright green, light blue to even sometimes multicolored specimens, depending on the atmosphere present during formation.